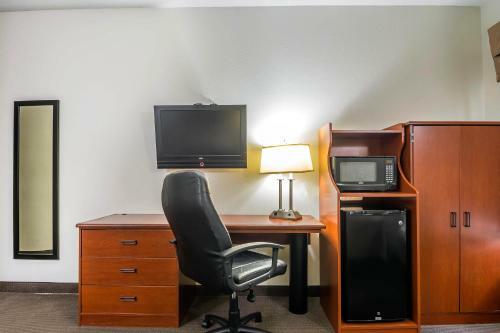 Description This Peachtree City, Georgia hotel has free internet access, non-smoking guest rooms and an on-site restaurant. 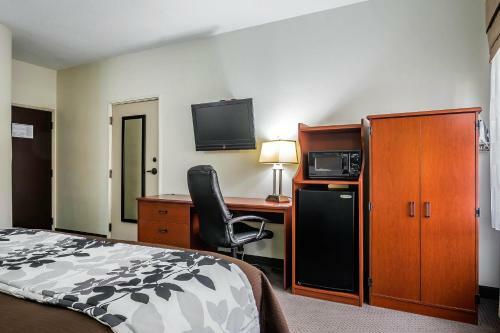 Offering free breakfast an exercise room and a location with easy access to shopping the Sleep Inn Peachtree City is a convenient hub for exploring the area's attractions. 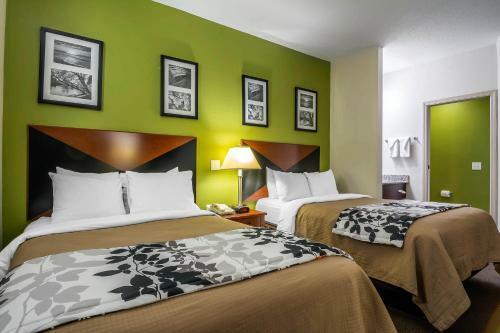 The two-story Sleep Inn offers 61 rooms furnished with convenient amenities including coffeemakers and LCD TVs. 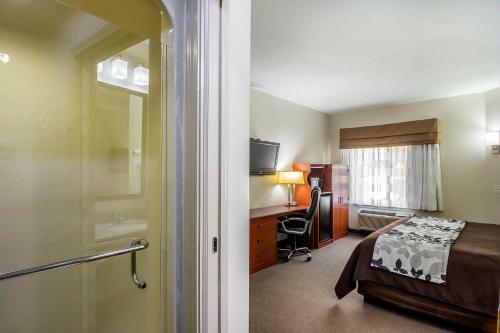 Rooms with microwaves and mini-fridges can be requested. Wake up and follow the aroma of fresh coffee to the hotel's complimentary breakfast. 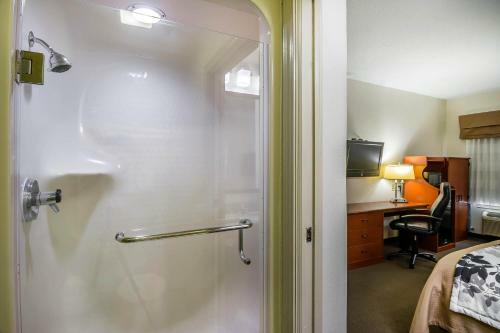 There is an exercise room to help guests maintain their fitness routines while on the road. Wi-Fi and fax and copy services are available on-site. The guest laundry comes in handy when you find yourself out of clean clothes. 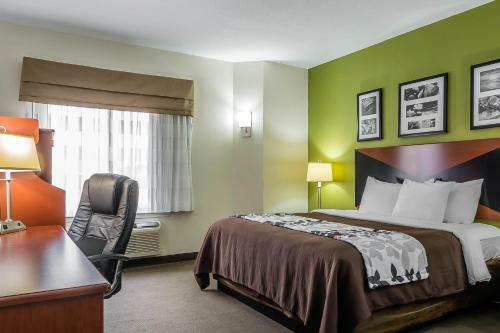 Non-smoking rooms may be requested. 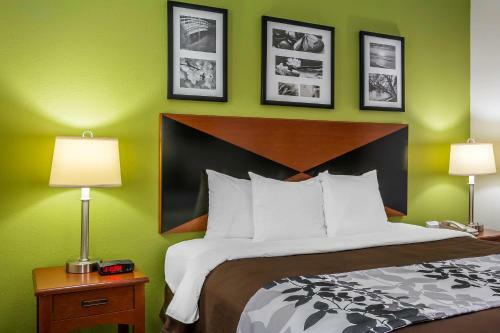 The hotel is located off of Highways 74 and 54 adjacent to the shopping dining and entertainment options at the Avenue Peachtree City. Golfers are within two miles of Planterra Ridge Golf Club Flat Creek Country Club and Canongate Golf at Flat Creek. The Peachtree City Amphitheater is two miles away. Enjoy a refreshing dip in Lake Peachtree or take on the courts at Peachtree City Tennis Center both less than five minutes away. 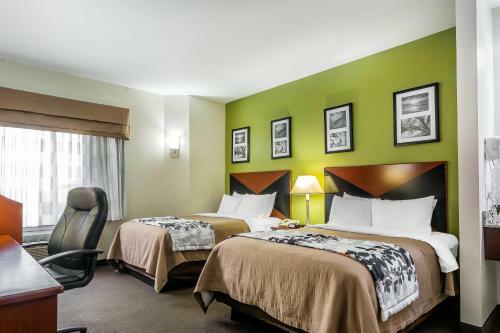 The hotel is 25 miles from Hartsfiled-Jackson Atlanta International Airport. 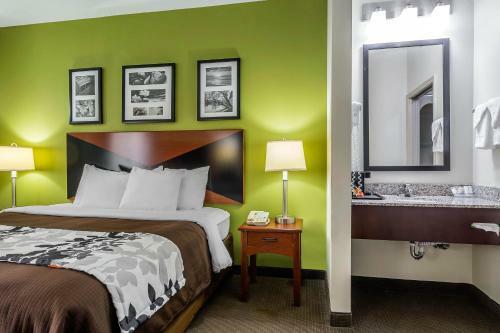 Add Sleep Inn Peachtree City to your free online travel itinerary.